fvtool(sysobj) displays the magnitude response of the filter System object™. fvtool(sysobj,options) displays the response that is specified by the options. 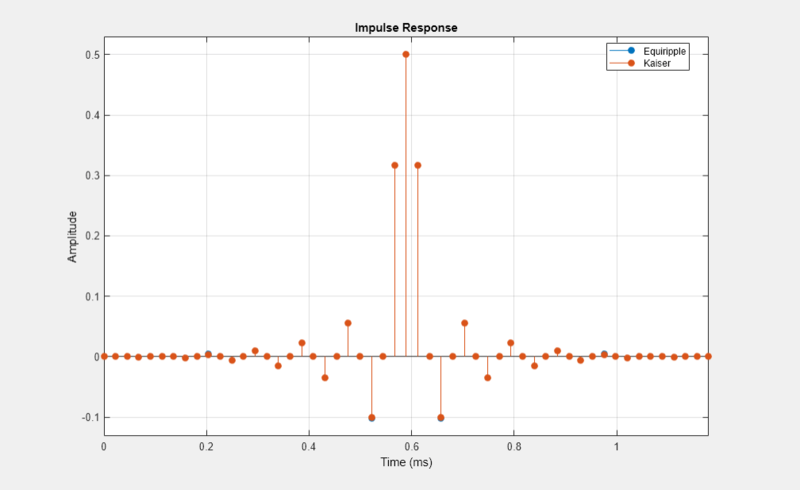 For example, to visualize the impulse response of an FIR filter System object, set options to 'impulse'. For more input options, see fvtool. fvtool(____,Name,Value) visualizes the response of the filter with each specified property set to the specified value. Create a minimum-order FIR lowpass filter for data sampled at 44.1 kHz. Specify a passband frequency of 8 kHz, a stopband frequency of 12 kHz, a passband ripple of 0.1 dB, and a stopband attenuation of 80 dB. 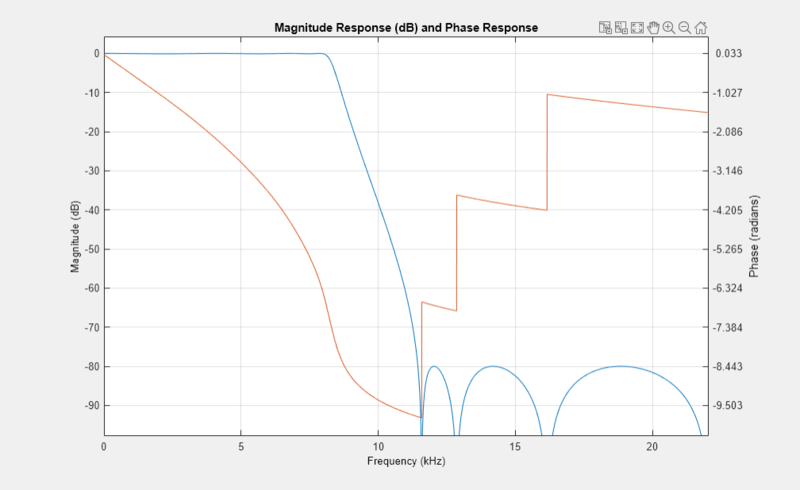 Design a minimum-order IIR lowpass filter with the same properties as the FIR lowpass filter. Change the FilterType property of the cloned filter to IIR. 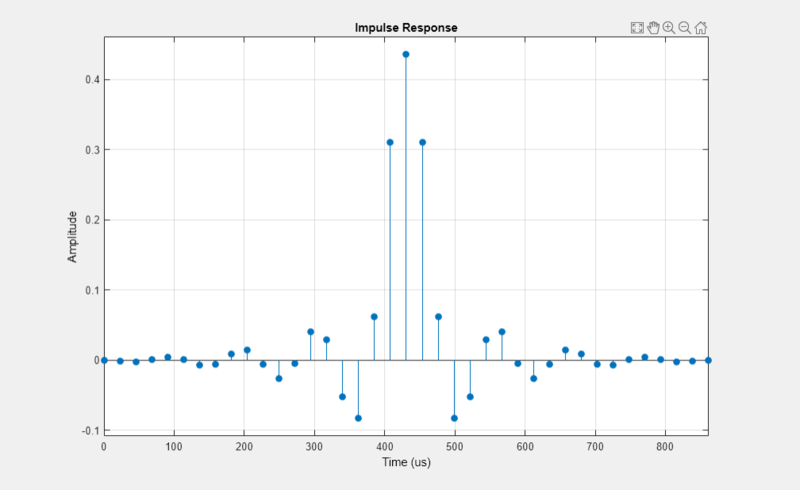 Plot the impulse response of the FIR lowpass filter. 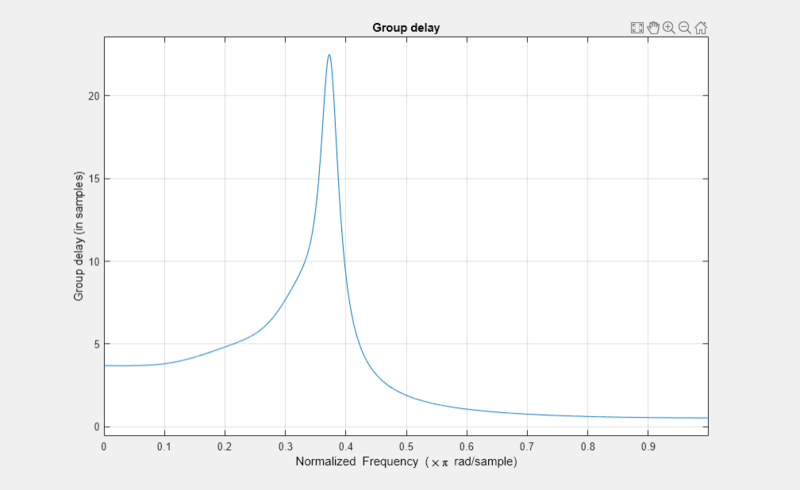 The zeroth-order coefficient is delayed by 19 samples, which is equal to the group delay of the filter. The FIR lowpass filter is a causal FIR filter. 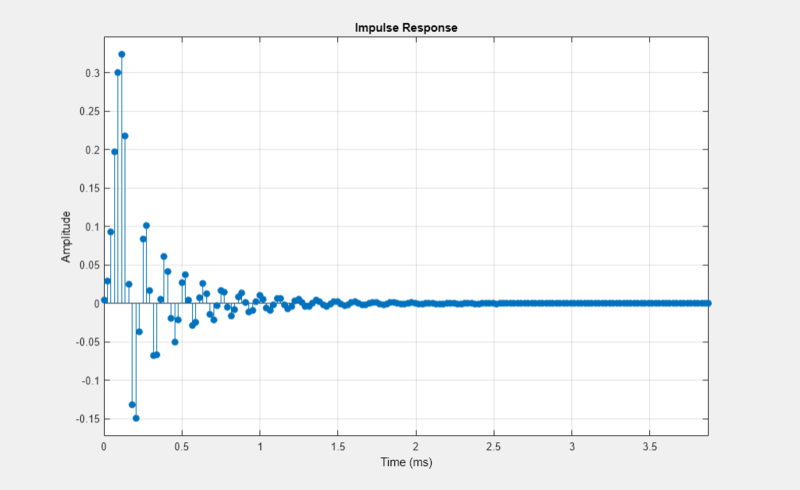 Plot the impulse response of the IIR lowpass filter. 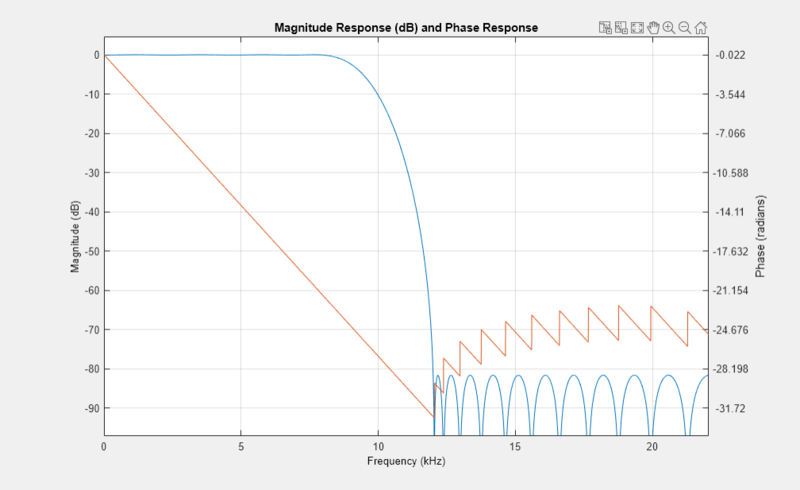 Plot the magnitude and phase response of the FIR lowpass filter. 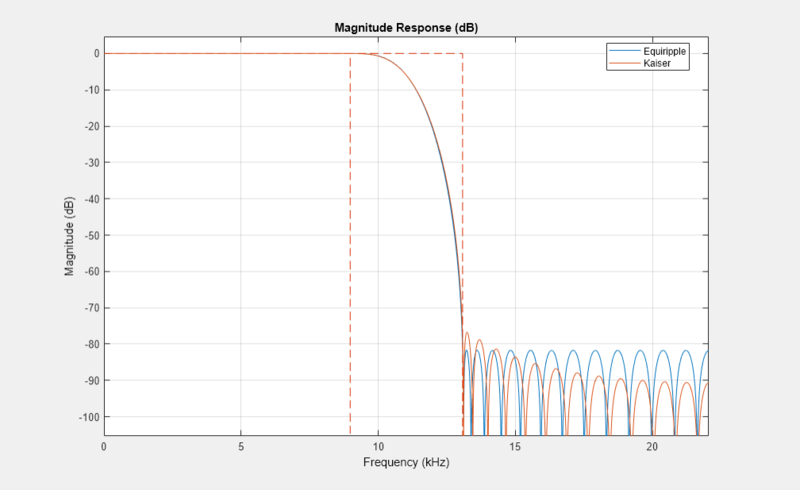 Plot the magnitude and phase response of the IIR lowpass filter. Calculate the cost of implementing the FIR lowpass filter. Calculate the cost of implementing the IIR lowpass filter. The IIR filter is more efficient to implement than the FIR filter. Calculate the group delay of the FIR lowpass filter. 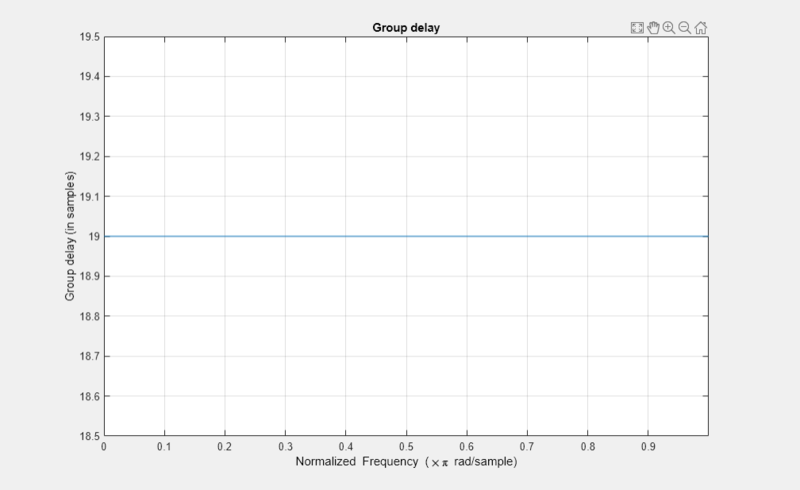 Calculate the group delay of the IIR lowpass filter. The FIR filter has a constant group delay (linear phase), while its IIR counterpart does not. Sampling rate, specified as a scalar. This value determines the Nyquist interval [-Fs/2 Fs/2] in which the fvtool shows the frequency response of the filters in the channelizer. Specify the arithmetic used during analysis. The analysis tool assumes a double-precision filter when the arithmetic input is not specified and the filter System object is unlocked. The 'Arithmetic' property set to 'Fixed' applies only to filter System objects with fixed-point properties.